If you didn´t read the previous Articles and Posts for our special Halloween Thriller Series, then please feel free to take a look at the prior posted links for educative purpose. This following story took place on October 6th-7th, approaching midnight. Michael and me were having a relaxed evening. I had also talked with my friend with whom I work on important projects, as well as text messaged a bit with my girlfriend who is into spiritual things as well. She was about to visit me 2 days later and we were talking about what we are going to cook for dinner to get the necessary foods, since me and her work a lot and barely have time. The weather was nice, for October, and almost like summer. It felt like it is spring, in autumn. It still does actually. Michael then asked me to go a bit outside to watch the stars, he loves doing that and sometimes ask me on purpose- then I go out and he points to a corner of the sky and shooting stars appear. Like he knows prior where and when they appear. This day was special, because I suddenly had this music in my mind, this beat. It felt so familiar and I seriously thought first “oh yeah thats my song”. Then I realised:” Wait a minute, that´s not my Song!” I was about to just get confused, and then Michael looked at me and said in a calm tone:” Yes, it is my Song, I just shared the memory with you.” Like, he just handed it over into my head or something. We have a fully merged consciousness now and can smoothly share back and forth things, like it is my memory my experience in the studio back then working, and I could “remember” his inner process and thoughts and emotions during the studio work, in home studio and professional studio (WestLake) both. 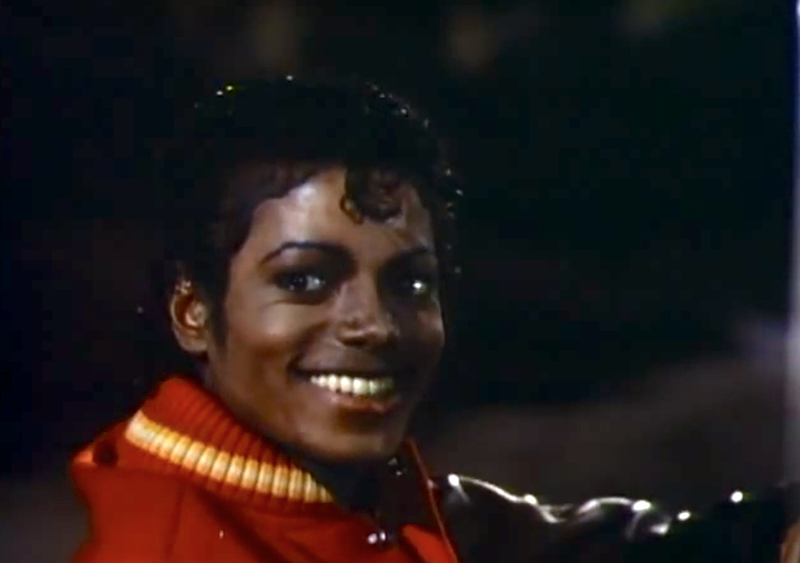 The melody I heard and this magical beat which made me feel like dancing, was his famous Thriller Song. He shared his direct memory with me, and it felt as if it was mine. It was about this special, magical moment when he finally “got the mix right for the song and the album” and was so, so happy. Now, it feels like it´s my own memory, it´s funny and weird how this works. That means so much to me, and since then I am totally in this Starlight/Thriller mood and the insight is very personal to me. 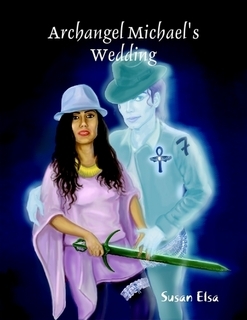 I want to give you a bit of a glimpse, even though it will be hard to explain my inner sights and shared memories (inside Michael´s mind and memories) to others I think. Try to tune in and you will feel it I think. 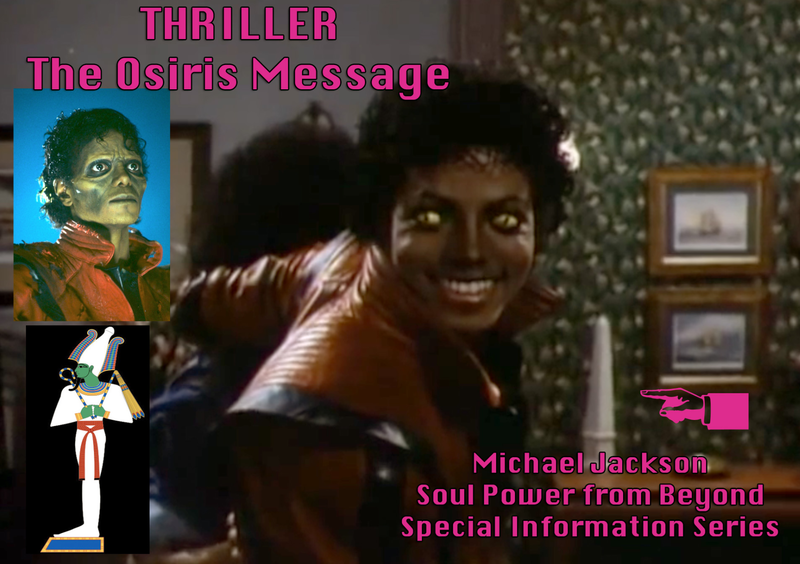 Let´s first look at the published Version of the Song Thriller, because he showed me that first and then afterwards the memory of his work in his private home studio late at night with dimmed lights, working on Starlight the original Demo for the Song Thriller, prior. This is the beat I heard and felt suddenly, like its my own memory while we were outdoors not at any music device or listening to any music. Only star gazing at the sky, while having food in the oven. I only heard the beat, the moment he heard this mix with this magic in it, how he envisioned it. Without his vocals. The vocals were always easier for him to control, the sound took more people working on it and more time and effort. It was such a relief he felt, when he heard this ready and in tune with his soul vibes. He kept going outside prior, he focused so so much on this Album, it´s like his baby, and I was born then literally too. There was this magic in the air, he always said. Sometimes he would go outside, at night, under the full moon and such, and just dance, listen to it, go through it in his mind, and dance, and try to tune in the vibe, the music rhythm, the beat, to his soul. Like he is focused on releasing his INNER SOUL SOUND. Michael hated the first mix (when you mix and master the instrument tracks for final end production). It was not right, he felt like there is “something not good enough it wasn´t resonating”. He thought it sounded like (****) the first the time heard it. He was super angry, I mean, super emotional and angry, exhausted, charged and just lost it, stormed out of the studio, called the responsible people to let them know that the deadline for release cannot be fulfilled, because he is NOT going to put it out this way. This is a very, very important part of his Thriller Album story, and if he didn´t listen to his heart and his intuitive soul vibes like this in that moment, Thriller might´ve not become the success it did. He insisted on starting all over again and re-mixing and re-mastering the whole production. The moment he shared first and surprising with me this day, was this exact happy moment with this relief in his heart and happiness, when the “magic mix was right” and he heard it on the big speakers in the studio. He got up and started dancing “yes this is the magic!”. Everything came together for him, because prior to this moment, for many months, he has been working on this Album, actually for over a year already. He always took time and wrote many songs, going and living through the song experiences. Charging the songs with all his love and heart energy. He would go out at night and just dance, dance through the night and tune in to the Werewolf character. He felt like he is this powerful ghostly master and wanted this energy in his sound as well. He would constantly think out, feel out, dance out his wish for this album to become the most successful ever, praying at sunset, sunrise, full moons and before jumping into the pool. He obsessed his mind with this outcome and it manifested. He achieved it. He took it serious, because he felt not acknowledged properly prior for this hard work on OFF THE WALL. 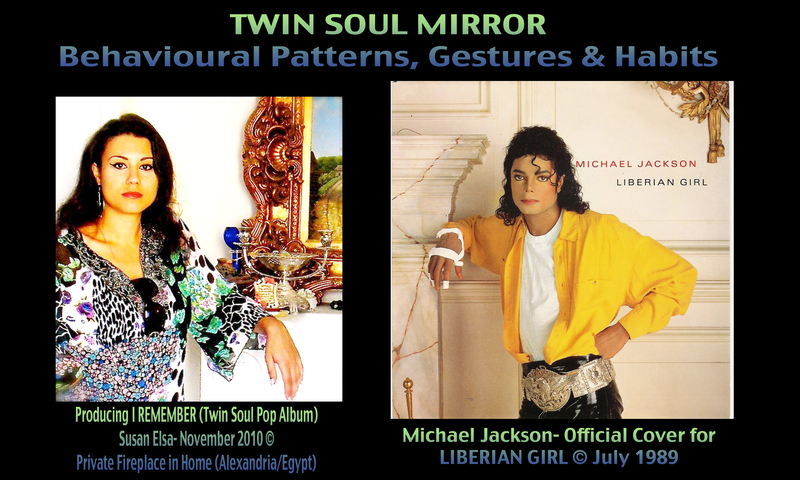 Then he shared the memory of his very private sessions in his home studio prior, working on the template that became the Thriller Song. This Beat. He was wearing some hat the way I saw it, just in comfy clothes. In dimmed light, it was late and dark outside. 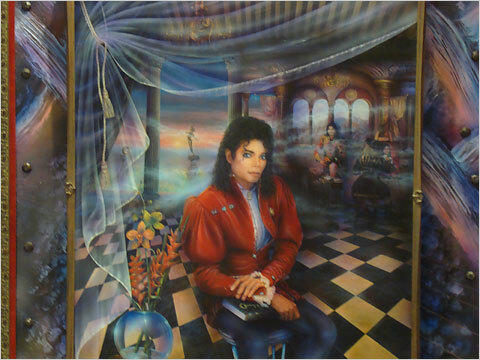 He had as usual just returned from doing activities, in which he would charge himself for the album work, such as outdoor dancing, feeling the earth beneath his feet and connecting to the Universe to send out his wish for this album vision. In this “chanting”, you hear his “automatic channeling”. He is just grooving into it, he is not thinking in any way or using any intellect, only feeling. You have to feel to be able to tune into the music this way and “let it flow”. And since he passed “back to the Stars”- he can now give me the Starlight like I gave it to him with my Birth back then. 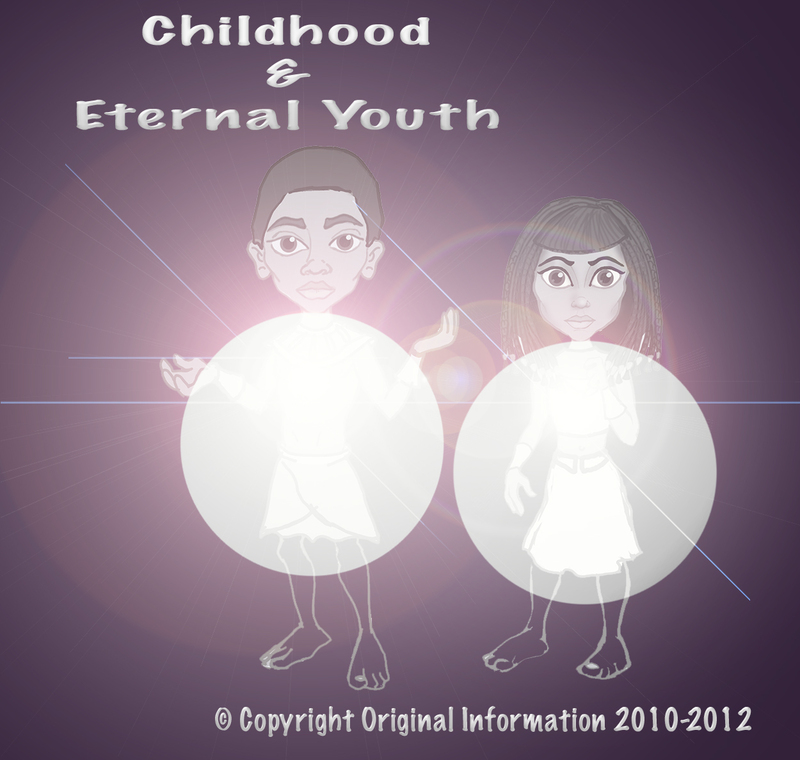 This is some demo for fun and showing this “conscious twin soul mind” channeling we do since early 2010, when he came back to me in spirit. This is me connecting to his mind and he is helping me to channel and I am shaping up and learning new things, trying to get the best out of myself and improve as an Artist and Spiritually. This is the Music of our Soul. This is my Demo, during the working process, he wrote the lyrics for me and all. He wanted me to do a female Counterpart Song like we done before, this time for ANOTHER PART OF ME. Minute 3:00 to the ending of the Song Demo is where I felt the same a bit, that is my soul´s vibe, my magic beat. 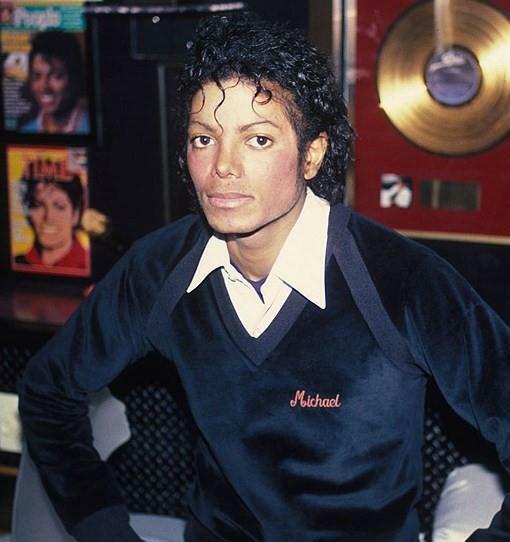 I am excited to do the newest, WE COME INTO ARRAY, at Westlake Studio where he did Thriller and BAD too!